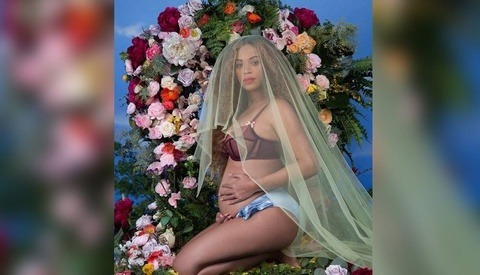 Last week, exactly 2 months after the Superbowl 'Unflattering photos' fiasco, Beyoncé started her 'Mrs. Carter Show' world tour. 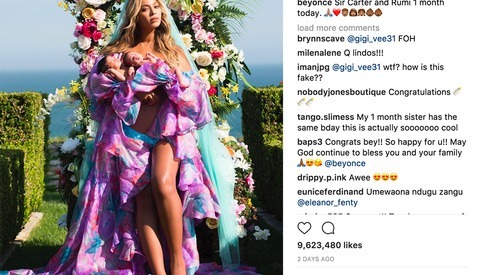 As someone who followed the 'Unflattering' story very closely, and as someone who is a big fan of hers, I had no doubt Beyoncé and her publicist will learn from their mistakes on how to deal with bad pictures taken of her, and wont make horrible mistakes again. I was wrong. Beyoncé banned all professional photographers from her shows, hoping this way no unflattering photos will make it to mainstream media. She was wrong. What happened is that media outlets purchased low-quality and not-so-flattering images taken by her fans. Beyoncé's publicist, the same one who emailed and asked websites to remove images she didn't like few months back, decided that this time they wouldn't allow photographers to shoot her shows. Instead, they would provide 3-5 pre-approved images their own photographer shot for the media to use after each show. They wanted to control what images the media had access to. But we all know how media works - they will do anything possible to get images that other publications don't have. If they can't send a photographer to give them original photos, the next best thing they can do is buy photos from fans in the front rows in the arena (cameras were not allowed, but no one can take away phones). It's the next best thing for them, and a huge nightmare for Beyoncé and her publicist. They thought by not letting photographers in, they will have full control over the photos shown in the media. Huge mistake. Now not only is the mainstream media showing unflattering photos of her, they are showing bad-quality unflattering photos of her. I think Beyoncé has a lot to learn from Mckayla Maroney, who decided that instead of being annoying and asking people to stop using her 'not impressed' photo from the Olympics, she joined the party and made fun of herself. Not only she gained points in the public's eye, she also gained positive momentum for her career. Yes, I know, Beyoncé doesn't need anything to boost her career since she is so popular, but she should start making the right decisions before people get tired of her diva-ish actions. Her publicist has to understand something about what happened in the Superbowl: In such events, photographers who work for photo agencies shoot like crazy and give their memory cards to someone on their team who runs to download the images and upload them directly to the server. No time for too much sorting or retouching. So yeah, in events like that, some photos might not make it as your next album cover. But in almost any other event, such as normal concerts, photographers have time to go through the images, get rid of the bad ones and send out the absolute best. Generally speaking, no one wants to post bad pictures. Banning professional photographers from all shows is simply stupid. Beyoncé needs to use the media to her advantage, not fight it. Playing games with the media will cause more harm than good. If they didn't learn this from what happened two months ago, maybe this time they will. Beyoncé is an awesome person and an amazing performer- one of the best of our era. I hope she's going to learn from her mistakes this time and deal with the press as a pro should. 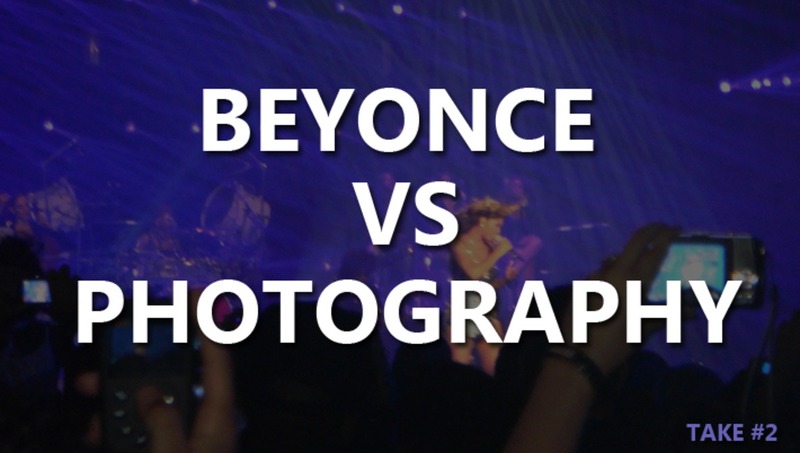 Note to Beyoncé: I'm available if you're looking for a photography-related-issues adviser. Just call and i'll be there. No joking. 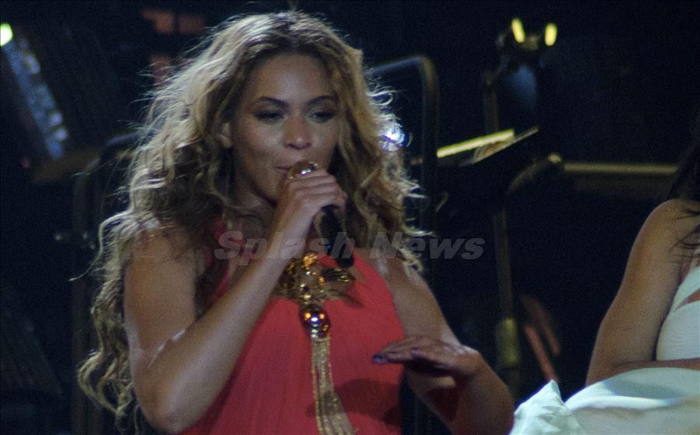 What do you think of her decision banning professional photographers from her tour? smart move, or another bad mistake on how to deal with the media? Just listen to her latest single, "Bow Down" to understand her attitude. This diva attitude got the best of her in my opinion. One song defines you. yup. ok..
Lame. Her ego has gotten the best of her. If all ugly performers banned photos, there'd be no photos of Mick Jagger either. But she didn't ban photos because she didn't want ugly ones. Where did you read that? The above article speculated about it but what if the Rolling Stones banned photography? Wouldn't it probably be so that they can retain some secrecy about their concert? She didn't want unflattering ones (same/same). There are several sites confirming that from her UK publicists. But these sites are never mentioned. If you could provide one, I'll believe you. But all the sites I've seen cite this article which uses speculation. Thanks for these. But no where does it say she didn't allow photographers to prevent unflattering photos as this article claims. It says, "The move to prohibit press photographers is seen by most observers as a reaction to this year's Super Bowl kerfuffle." Speculation. It's seen that way after the Super Bowl issue, but that is taking one fact and taking another fact and making a connection that may not necessarily be there. I hear ya - it's not solid fact. Ya... I mean it could very well be for this speculated reason. But I just think we don't need to be getting so worked up for an assumption. But that's how the media goes. No one is going to write an article called CONGRATULATIONS BEYONCE ON OWNING YOUR IMAGE. $10 says M.R. works directly for the Beyoncé PR team. Nope. Just because I'm not jumping the gun and criticizing her for something she has every right to do, doesn't mean I'm employed by her. The fact is that this article has made an assumption and now all other media outlets are mentioning it too as if it's a fact. Sorry for bringing that up. All she has done now is alienate the photographers and press, and in turn they will go hunting bad pictures of her (from any source) on purpose. Her Pr and Management, seriously need to rethink their strategy. If I'm an AD, I'm now looking for the very worst unflattering shots of her I can find. 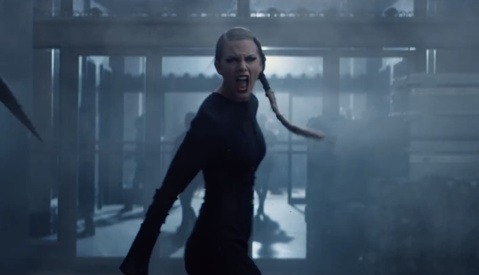 Even for the music industry, this chick's Ego Train is running off the tracks. She's a performer. Why would she want unflattering photos of her AND the show (which is like her product) published? That's not ego, that's perfectly normal. I was under the impression that "stars" depended on publicity to grow, not sure this is a smart move.. Instead, I would probably work on avoiding certain facial expressions and body postures, to get acceptable photos. when performing... that is impossible. That actually sounded stupid. Really, out of ALL of the photos of her performance, the photographer or WHOMEVER decided to publish the least attractive of the portraits. That was idiotic. Everyday people pay to have photos taken, why would anyone want those photos to be unattractive? The photographer is paid to do a job. Regardless of how you feel about her personally, she is no different. Everyone wants to promote the best looking version of themselves. But as we all know, no one is perfect and therefore none of our presentations will always be attractive. Since Beyonce is a professional performer, I'd like to believe she knows this. However, what I think she may need to reassess is her own perception of herself. If she starts thinking that she will never have an unflattering photo taken of herself or that said photo will never be publicized, then she is deluding herself. And the approach she's taking regarding this very small matter is actually feeding into the ego maniac perception of her that people are beginning to suspect. (She may be be falling victim of her own "queen b" hype. #smh #lol) I'd hate to see her sabotage her own career. This article speculated that this was vanity. But it's not a fact. It could also be just to keep her tour secret. She's always loved secrecy. Who would want all your tour to be photographed in HQ for the world to see before you arrive in the city? The point is to entertain and surprise the audience. She is hardly sabotaging her career by banning photographers from HER tour. Hm, maybe because there is certain media that pay for embarrassing shots because they love to exhibit the weaknesses of stars? Just like at what those celebrity mags are writing. E.g. think of the British The Sun. And then there are those that read these papers and love the Schadenfreude when they see these pictures. Exactly! But remember this is the woman who refused to sing in person for the president- ego overload and typical PR move for those at this level of fame. Frank Micelotta is a turd- he'll do whatever he needs to keep Queen B's team happy. Based upon those couple of unflattering photos, I definitely can understand why she would want to control what gets released. Is it really that bad? These pics are the result of the poilcy. Splash News bought them from concertgoers. The point this story is making is that this policy resulted in these bad pics. Exactly. The photos above are the direct (bad) result of her policy. When you ban professionals from doing their jobs, you get amateurs doing that job for them... and it's not a good thing for anyone. I guess you didn't see the Super Bowl Performance photos. The "professionals" failed to do their job. The amateurs might as well take over. People are making this about Beyonce and not a cautionary tale of what happens when a photographer or their superiors have a lapse in judgement. What are you, her publicist? I follow that question up with have you even picked up a camera in your entire life? I'm going to say no because I've been reading all of your bonehead comments and if you have ever picked up a camera you'll know that 75% of the shots don't even make it past the first cut, and 95% of the shots don't even get edited. If for even one second you think that 100% of the shots are going to be beautiful and all worth publishing then you are by far the most ignorant person I have EVER seen on fstoppers. She is a beautiful woman. She knows she is a beautiful woman. Everyone knows what she looks like at her best. Why she is worried that an unflattering pic at a show will change that perception is silly , in my opinion. An SNL skit of her poking fun at herself would go a long way to quell the new found desire for unflattering pictures she's managed to create.